Choose from 931 boats in Trogir. 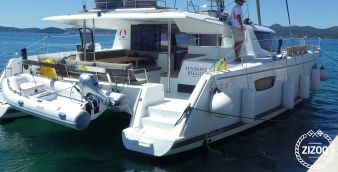 Chartering a yacht in Trogir is a breeze when you use Zizoo.com. We have fully equipped sailing and motor boats ready for you to explore the beauty and diverse landscapes that Croatia has to offer. Choose from our fleet of hundreds of sailboats, catamarans, motor boats, gulets, speedboats, and RIBs and get the best prices for yacht charter Croatia. When you charter a boat in Trogir, you have a host of exciting destinations to choose from for your boating holiday. Travel the Croatian coastline or leisurely navigate through one of several archipelagos. We offer a variety of experiences when it comes to nautical tourism in Trogir. You will find a lot of picturesque beaches located in and around this small, friendly town situated on the eastern shores of the Adriatic. Before taking off on a sea adventure from Trogir, don’t miss this World Heritage City’s charming streets, museums, treasuries, and awe-inspiring monuments in stone. You can also easily arrive to the nearby city of Split or head out to the Dalmatian islands. 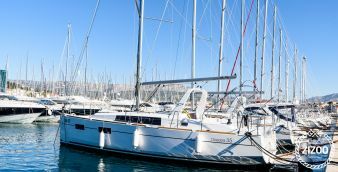 With so many places to see and do on land and at sea, a Trogir sailing holiday is the best choice for family boating holidays or trips with friends. 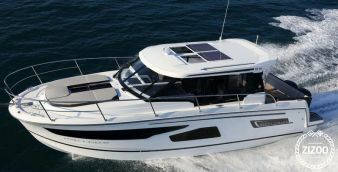 We also have the ideal boat for the size of your particular group. Choose a yacht rental with the number of cabins to suit your guests or simply select the number of guests for a daily boat rental in Trogir. Our boats come equipped with the best safety features as well as features for easy navigation to ensure that your trip goes smoothly from start to finish. Ready to set sail? Book one of our bareboat yacht charters in Trogir and get ready for an unforgettable adventure spent cruising on the Adriatic’s calm waters. If you want a skippered boat, we can provide that as well so you can sit back, soak in the sights and enjoy your time at sea while the captain takes you to your next destination. For an extra special experience, our boat holiday experts can help you plan a dream luxury cruise in the Mediterranean. 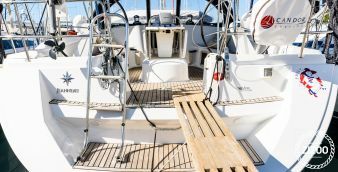 We have well-equipped and well-maintained sailing boats of all types and sizes for you to choose from. 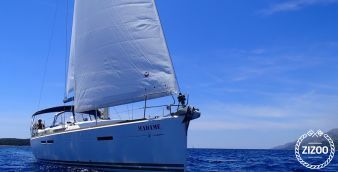 Hire a spacious cruising charter sailboat and fall in love with the clear, crisp air of the Adriatic. Whether you want cheap yachts or a luxury yacht charter, Zizoo.com has what you need to make your yachting holiday as good as you envisioned it. Let us help you plan the perfect yacht charter holiday in Trogir, one of the most amazing destinations for a sailing holiday in the Mediterranean. Just let us know the type of boating experience you want and we will help you plan and book it at the best price. Get amazing deals and discounts when you book your Trogir sailing boat online with Zizoo's charter yachts. We offer you 24 hour assistance and we're happy to answer any questions you may have about renting a boat in Trogir. Browse through our fleet to find the ideal skippered yacht charter, crewed yacht rentals, or bareboat rental. You can also get in touch with us to find out everything you need to know about our boat rental services in Trogir.